Loaded with state-of-the-art features, the Vermeer 404 Pro Silage Baler is designed for fast, efficient silage baling to save you time while preserving the quality of your crop. The optional XtraCut17 crop cutter system increases bale density, accelerates fermentation, and improves silage quality and digestibility. Meanwhile, the exclusive HYDROFLEX Control lets the floor shift up and down to accommodate uneven swaths, minimizing rotor blockage. Plus, it’s easy to maneuver and easy to maintain. Make better use of horsepower thanks to the patented 404 Pro POWERSPLIT Transmission, a unique shared-drive gearbox design. Get a better grip on bales with the POWERGRIP steel rollers, which help maximize compression and improve rotation under all kinds of operating conditions. Protect finished bales using the Vermeer Netwrap System, which is easy to load, easy to feed and simple to operate. 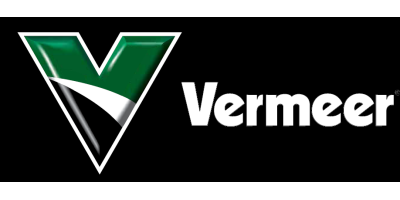 Monitor your progress with the Vermeer E-LINK Electronic Controlling System. No reviews were found for Vermeer - Model 404 Pro - Silage Baler. Be the first to review!